A man who was charged with a variety of charges entered guilty pleas on Friday at Sacramento Superior Court. Dennis Joseph Giacopetti (also know as Dennis Jacopetti) pled no contest to forgery, grand theft and filing false documents. Giacopetti also admitted the aggravated white collar enhancement and the enhancement for commission of a felony while released from custody on another case. 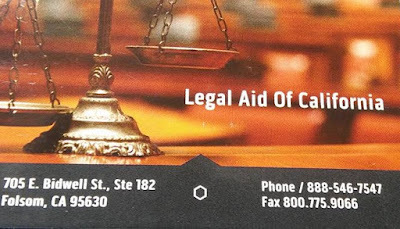 Giacopetti advertised the businesses Legal Aid Services of California and Legal Aid of California online and through Craigslist. Although he was not an attorney, Giacopetti represented himself as an attorney in order to obtain clients. Using these false representations, he unlawfully obtained legal fees from multiple victims, filed false legal documents and illegally acted as a foreclosure consultant. Giacopetti will be sentenced to 12 years in prison and ordered to pay restitution to all victims named in the complaint. Sentencing is scheduled for February 18, 2018 at 8:30 a.m. by Judge Gregory Haas. This case was investigated and prosecuted by the Sacramento County District Attorney’s Real Estate Fraud Unit. No Comment to " 'Legal Aid Services' Owner Pleads Guilty to Real Estate With While Collar Enhancements "